Orbitz, one of the leading online travel booking websites, helps its users find the best deals for flights, hotels, packages, car rentals, vacation rentals, cruises, and more. The platform searches an extensive database, delivering some of the best deals in the industry, with an added Orbitz rewards program allowing customers to earn and redeem with new bookings. 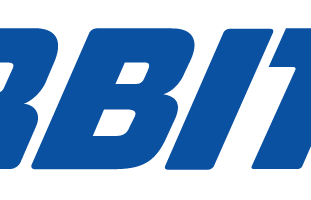 The Orbitz brand is backed by the leading Expedia Affiliate Network. Through the site or app, travelers can find, compare, and book all travel necessities on one site. The Orbitz affiliate program pairs you with one of the largest, leading U.S. online travel websites. Orbitz offers users a wide array of products and services including flights, hotels, car rentals, cruises, travel insurance, and location dependent experiences. Travel niche bloggers and affiliate marketers will love the Orbitz affiliate program for several reasons. Orbitz’s 110% guarantee, rewards program, and fee-free booking makes for an easy promotion to interested parties. The Orbitz affiliate offers found on through the program create a wonderful travel vertical to monetize all elements of the travel experience. The program also includes countless banners, text links, and access to 150,000+ airlines and hotel properties for deep linking affiliate offers. You will find thousands of attractions and car rental companies, too. The Orbitz affiliate program uses a 7-day cookie to track referrals. And, uses on-demand reporting and tracking to maximize affiliate promotions and reach. The Orbitz service provides several valuable services mixed with great pricing for bookings to an incentivized rewards program. The Orbitz program is part of the Expedia Affiliate Network, granting it immense support and management with endless tools and resources to improve affiliate success. What are the best parts of the Orbitz affiliate program? What are some parts you may not enjoy? Consider yourself a travel blogger and affiliate and don’t have Orbitz listed in your promotions? We didn’t think so! Orbitz offers and promotions are a staple in this niche – your visitors would find it odd not seeing them mentioned so why avoid the program? We think the Orbitz affiliate program is a clear winner not only from its payout structure but its backing by the biggest travel brand of them all: Expedia. The EAN network handles it all so if you’re on there, you have access to Orbitz offers – might as well add them to the list!